This classic Brazilian coffee is imbued with notes of chocolate, brown sugar, and clementine. Right after brewing, the cup gives light grapefruit notes that provide subtle sweetness. Once cooled, the coffee's rich body accentuates the chocolate notes and clean finish. 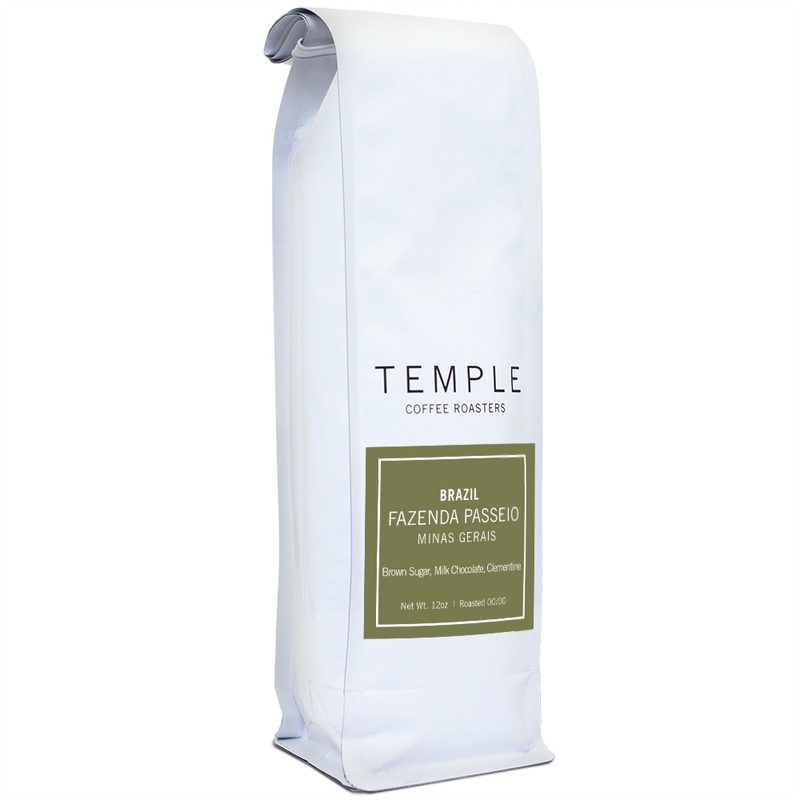 Fazenda Passeio is a coffee estate located in the Minas Gerais region of Brazil, originally named for its dense forests and rich iron mines. Adolfo Henrique Vieira Ferreira is the current head of the estate; his family has been producing coffee in the area for over three generations. The estate focuses on efficient coffee production as well as environmental sustainability practices and workforce welfare. The native forests around the estate have been protected and are visited by many students, tourists, and ecologists. All coffee is picked by hand by the expert workforce employed on the estate who are in turn provided with schooling for their children, workforce training, and housing.